Have you been brainstorming on what to put some money into or what line of business you’d wanna try out next? The Food and Bakery industry could be your best big break. 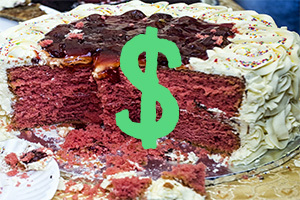 In this post, we’d highlight some ways you can make money establishing a business affiliated with cakes. Cake baking is a fast paced industry. Bakers who want to stay on top of their creative baking and decoration game would constantly need to learn more and also purchase materials needed in baking a good cake. Sometimes ago we stumbled upon a drone video which actually designed a cake. This was made by Telia. You can see the video here. Isn’t that awesome? One way to go about this is securing partnerships with wholesalers and purchasing from them. You do not have to break the bank. Everyone knows how hard it is to get money in today’s Nigeria lol. You could get unique baking materials in a lot of foreign countries, this would set you apart from the usual local retailers. Bakers would definitely patronize you due to the unique products you retail. You’d be surprised how much automation can go into baking today. A lot of equipment Nigerian bakers use are old school. There’s constant innovation every day. You could look for suppliers on Aliexpress or maybe Amazon. A quick google search would show you some ideas. Going into baking can be really rewarding and also painstaking. There’s a lot of ups and downs. If you are able to crack marketing and decoration, you are on your way to building a great cake company. You have to do a lot of research and develop recipes on your own so your cakes can taste really nice and unique. Taste is really relative when it comes to baking. If your customers love the taste of your cake, they wouldn’t go anywhere else. Also, the decoration is something you can perfect from constant practice. It’s not really about learning from baker A or B, it’s more of a self-thought skill. What really makes a cake business scale is referrals, people are more confident in a baker whom their friends & families have recommended to them. Another way to make money in the industry is to diversify into offering cake training to people interested in baking. You can come up with different types of classes like cupcake decorating masterclass, baking masterclass. You can also choose to monetize your free time by delivering cakes to customers on behalf of cake retail companies. 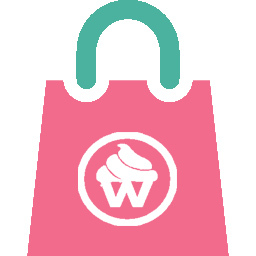 WaraCake, for example, has a delivery service called WaraBuddy. You can choose to pick up cakes from point A and deliver to point B and get paid for it. Asides delivering cakes, you will be a gift shopper and purchase items like wines alongside cakes. This entry was posted in Uncategorized and tagged baking, cake, nigeria, training.